Hello folks and a very warm welcome to our family history. We hope that you will find something here that will inform, interest and entertain you. We are interested in our family genes and the early history of Wellington, New Zealand. William Golder (1810 - 1876), arrived in Wellington, New Zealand on the The Bengal Merchant in February 1840. He was aged 29, and was accompanied by his wife Mary and three children. William spent his time as a settler in the Hutt Valley and was the Schoolmaster at Belmont & Korokoro Schools. He is credited with being the author of the first volume of poetry printed and published in New Zealand, and the first amateur printer who was not a	missionary. 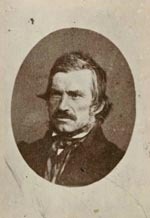 William was also Lower Hutt's first teacher and Poet. Our genealogy has been researched using information gathered from family records held at the Golder Cottage Museum ( family home built in 1876 ),	707 Ferguson Drive, Upper Hutt, other family members and the WWW Internet. There are in excess of 150 photos of individuals, letters and where the Golders lived etc. Clicking on each photo thumbnail will display a larger version of the photo for you. 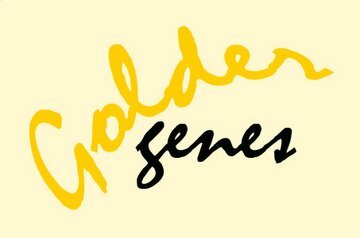 Records indicated multiple spellings of the surname as it is recorded as Goldart to Goldar and Golder in succeeding generations. However upon investigation and viewing original documents including Sasine of land ownership it appears the the name has always been GOLDER and was either mis-spelt when recorded in parish records and or it is misintepretation of hand writing. I think personnaly it is the hand writing after you view other entries for other people on the same page. The Golder family were living in Avondale throughout the 1600-1700s. We would appreciate notification / corrections of any dates of births, marriages, deaths and / or notes to enable an accurate record to be held. Should you have any photos or information that can be added to the family tree please contact us by clicking on the contact menu item for details. Interest in our family history has been growing and we have now made many contacts in Scotland, England, Canada, USA, Australia and of course New Zealand.